Some problems are just too difficult to handle alone. Even the support of friends and loved ones may not provide enough of a foundation for self-improvement, as what some people need – above all – is to talk to other people who will understand exactly what they are going through. Individual and group counselling therefore represent invaluable resources for people in recovery who are struggling with drug addiction, alcohol addiction as well as mental health issues. But what do these sessions really look like, and what kind of environment do they encourage? Why do they form the basis for every effective treatment programmes around the world? While individual counselling sessions offer frequent and direct interaction with a qualified treatment expert, group counselling takes more of a peer-to-peer approach, guided and led by at least one group leader. 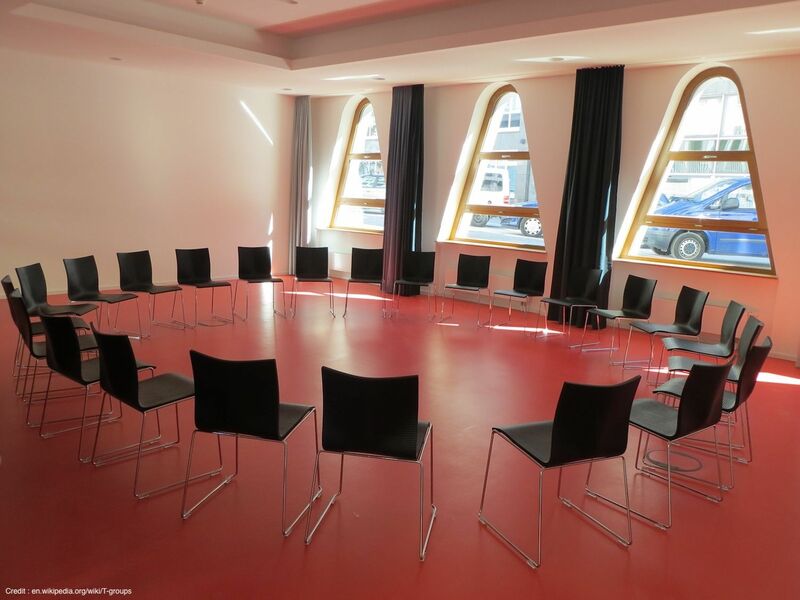 Each method has its particular strengths; individual sessions are highly focused on the development of the patient, while group therapy is centred around a backbone of social support, fuelled by solidarity and the powerful theme that addictions and other issues can be overcome together, with mutual support at every moment. Both types of counselling sessions encourage honest conversation about the problem, while withholding all personal judgment and maintaining an absolute respect for their privacy. Group therapy offers an expanded range of experiences, however, as each participant becomes both speaker and listener, teacher and patient, leader and witness. By taking in the stories of others, and following their struggle toward redemption, participants gain a new perspective on their own condition and the paths leading forward. Pre-commitment. Patients at this stage may not recognise the seriousness of their problem, or the need to seek help when attempting to change their behaviour. Contemplation. This describes the period when patients have begun seriously considering changing their relationship to the addictive substance or behaviour. Planning. During this stage, the patient recognises the need to break their addiction, and is preparing to make the necessary effort, but has not yet followed through. Action. This stage involves carrying out their plan to break their addiction, with the support of their peers and mentor. Perseverance. The patient works to maintain their progress over time, potentially reaching a permanent solution. Relapse. This stage marks the patient’s failure to follow through on their commitment. They must then return to the planning stage, using their experience and support to make a new, stronger effort toward the goal. The multi-step improvement model has delivered an impressive success rate since its beginnings, recognising that addiction recovery is no simple process – but rather a path requiring commitment to maintain the gains of each step forward. By entering into the culture of recovery that group counselling provides, addicted individuals will have a tight community of peers at their back. This circle of trust is one of the most effective resources a person can have, to remove feelings of guilt and counteract the influence of the substance or behaviour to which they are addicted. How does group counselling work in an inpatient rehab centre? Group counselling sessions are generally held once or twice a week, for 1-2 hours. They can involve groups as small as 3 or 4 people, or host larger gatherings of up to a dozen or more. The sessions are typically led by a qualified therapist, and often take place in a rehabilitation centre or a community centre. Most group therapy sessions focus on various types of addiction. A regular session begins with members making their introductions, and speaking about their recent efforts or progress in fighting their addiction. Afterwards, the next stage of the group session is led by the facilitator. The focus can be on dialogue among the members, or it can be educational, incorporating elements such as audio or visual tasks, role playing exercises, homework, and other participatory activities. Most patients are encouraged to attend weekly sessions for a period of at least two months, if possible – although some patients may need more intensive treatment, and others may need longer periods of attendance. By staying at an inpatient rehab centre, patients can be taken to attend the group counselling sessions regularly, and given adequate preparation and support both before and after each meeting. By providing an authentic, peer-led model for personal growth and empowerment, group counselling is an effective source of optimism and self-worth for many patients. It provides much-needed structure to the recovery process, and teaches many new coping skills that people suffering from addiction can use in the real world. Group therapy can be a particularly effective resource when attendance is combined with other forms of addiction treatment at a quality drug and alcohol rehab centre. If you or someone you know is suffering from addiction and considering inpatient treatment, the comprehensive service programme at The Dawn can help. We offer individual and group counselling as part of our inpatient rehab treatment, letting patients benefit from our own expertise as well as the extended community and peer support provided by group therapy. We also offer access to local meetings of Alcoholics Anonymous and Narcotics Anonymous, where patients can connect with others who are building bonds and working hard together to overcome their addictions. Our methods are so effective that we offer a relapse assurance guarantee, allowing a completely free stay of up to 28 days in the event of relapse for any patient who has completed a full programme for alcohol or drug addiction. Contact us today or call +66 63 048 4877 to learn more about our inpatient programmes, and take the first step on the road to recovery.